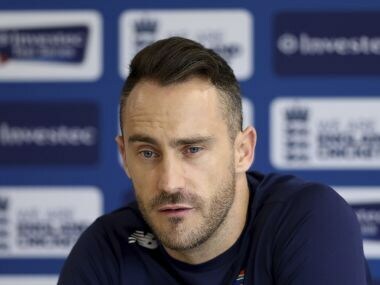 After returning from a 1-3 Test series defeat to England, South Africa Test skipper Faf du Plessis declared that de Villiers had "earned the right to do whatever he wants to". 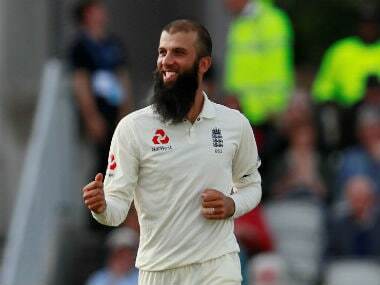 Moeen Ali shone with both bat and ball in England's four-Test series against South Africa. Both teams used 14 players during the course of the series, a look at how they fared. 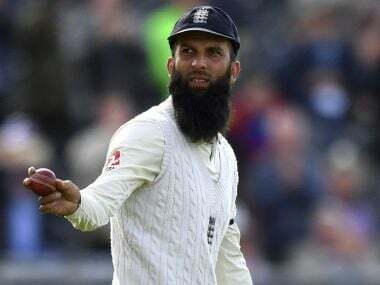 Moeen Ali has paid tribute to the "amazing" Saqlain Mushtaq for his role in helping the England all-rounder enjoy a record-breaking Test series against South Africa. 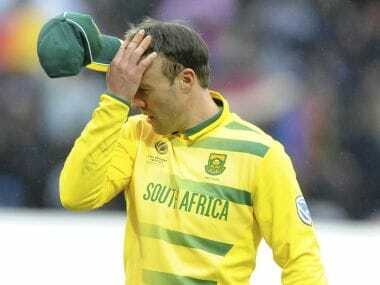 Faf du Plessis said South Africa had to get ready for a future where former captain de Villiers no longer played Test cricket. 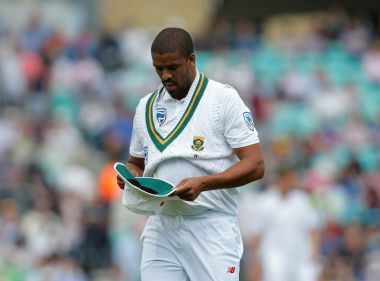 South Africa are starting to show that they haven't filled the AB de Villiers sized hole left in their Test middle-order, especially in light of their 1-3 Test series loss to England. 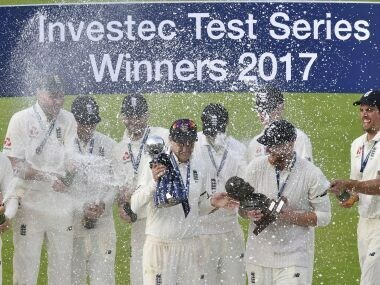 Here are some photo highlights from England's series win over South Africa on Day 4 of the fourth Test at Old Trafford. 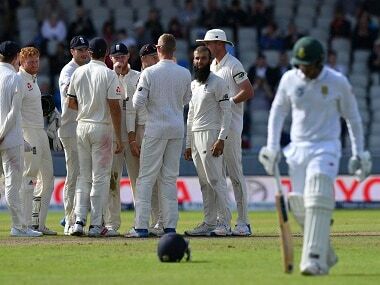 After almost four gruelling months on the road, South Africa will probably simply be relieved to be finally heading home. 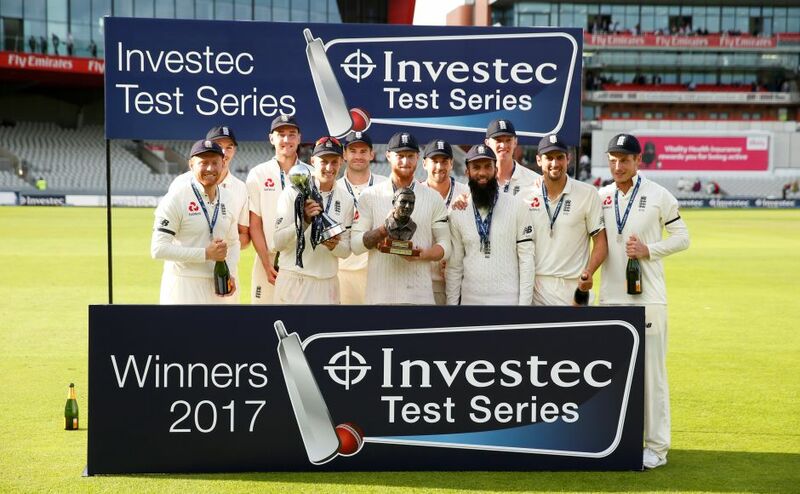 Joe Root's first series as England captain ended with a convincing 177-run victory in the fourth Test at Old Trafford. 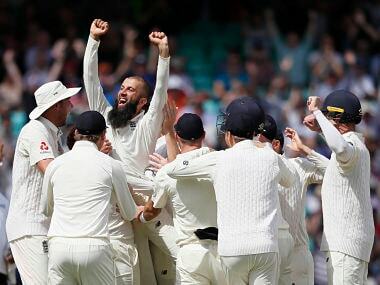 Ali completed a brilliant campaign by taking two wickets in two balls as England won the fourth Test at Old Trafford by 177 runs shortly after tea on Monday's fourth day. 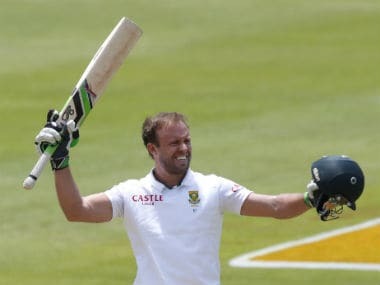 "It is a challenge for Vern because it's happened too often that he doesn't play a full series," du Plessis explained. "I've spoken to him about that and he's accepted the challenge and that he needs to improve that.